There are some great pasteurised cheeses. Really delicious. But there are some truly unforgettable, game-changing unpasteurised (raw milk) cheeses. 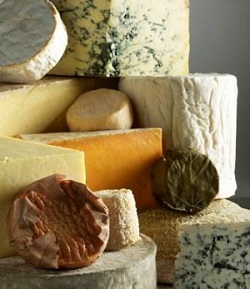 Cheeses which differ subtly each time you taste them because of the conditions on the day they were made or the herbage in the hedgerow that the cow ate that day. Cheeses which wow you with their full flavour in the mouth, and which you can still taste ten minutes later. So why are some people still reluctant to open themselves to this taste experience? In the world of artisan food, we are arguably in an era with conflicting values. On one hand artisanal products are more popular than ever. People are interested in where their food is coming from, how it is made, the ingredients within it and the provenance. They want to eat seasonally and locally and support the small producer. On the other hand, Food Safety regulations are tighter than ever, working hard to ensure the products in the market place are safe to eat. And with these regulations come warnings and news bulletins and publicised messages about what is and is not good and safe for you to eat. And sometimes the same message is broadcast to cover the manufacture of mass-produced foods as artisan foods and the difference between them is lost and a lack of knowledge can breed a fear in people that natural, unprocessed food is somehow unsafe. Unfortunately, it is this issue that needs to be discussed when trying to extol the many virtues of raw milk cheese, because the safety of them is always the cited counter-argument. Pasteurisation kills a number of pathogens which may be found in milk, such as e coli and listeria. 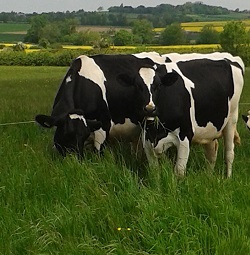 These pathogens are very unlikely to be found in milk if the producing cows are clean and well-kept and milking (and any subsequent cheese making) takes place in a well-managed dairy. The safety blanket of pasteurisation can occasionally be seen as an excuse to be less stringent regarding the hygiene of the cows and dairy. The producers of raw milk will never knowingly compromise on this as they have no safety blanket of pasteurisation. There are legally required regular microbiological tests on milk (and cheese) batches which verify the efficiency of their systems. Pasteurisation is not a failsafe method of preventing food poisoning. Historically, outbreaks of food poisoning stemming from cheese are very rare, but can occur from pasteurised cheese as well as unpasteurised. It is therefore a choice based around perceived risk. It is not without risk to eat unpasteurised cheese, but then it is not without risk to eat pasteurised cheese. Or lettuce leaves. Or nuts. Or chicken, or any other food which has led to a food poisoning outbreak in the last decade or so. An then there is the personal decision as to whether the perceived risk is worth it. You can be more than satisfied with the amazing array of pasteurised cheeses available these days. Artisan cheese making skills are going from strength to strength in the UK and the array of quality flavours and textures in pasteurised cheese are not going to leave you wanting. Yet it can be argued that the optimum experience can still only come from a raw milk cheese - the complexity, the subtlety and the deep natural flavours which are infused within the cheese. It should also be noted that recently, medical science is attributing more and more health benefits to the consumption of raw milk and raw milk cheese. This is because raw milk, and therefore the cheese made from it, is a complete food containing not only carbohydrates, protein and fats, but also minerals, vitamins and probiotics - the bacteria which inhabit our lower intestine and work to aid digestion and keep us healthy. Heat treatment renders the minerals and sugars within the milk less easily absorbed or digested. In addition, a large correlation has been found between the consumption of raw milk and the reduction in childhood asthma, eczema, hay-fever and food allergies. At Paxton & Whitfield, we believe that the tiny risk of selling and eating unpasteurised cheese is most definitely worth it. Our suppliers undergo a thorough approval process to assure us of the safety of the production process and the final products. And you only have to taste some of the delicious raw milk products on our counter and online store to understand the benefits to the product. Try Sparkenhoe Red Leicester, the only traditional farmhouse Red Leicester made in Leicestershire, Cerney, a fresh mild flavoured goats milk cheese that has been coated with an ash and sea salt mix or Stichelton, a stunning blue cheese made to a traditional Stilton recipe to appreciate raw milk cheese at its best. 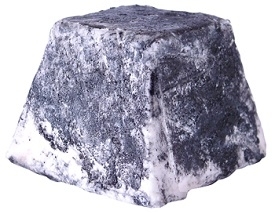 We sell lots of unpasteurised cheese on the website - either use the "filter by" or look out for the U sign on individual cheeses to identify them. It is Raw Milk Appreciation Day on 21st April 2018. If you are a restaurant or would like to talk to us about wholesale cheese, we are one of the biggest cheese supplier's in London.